Besides style, color, and aesthetics, equally important factors you should consider when choosing a specific window treatment for your NYC home are ease of installation, availability, and operation. Ease of installation can affect your maintenance and cleaning routine. Taking window treatments down to clean them will likely be more time-consuming, which is not ideal for those with a busy or fast-paced lifestyle. Next, availability of replacement parts can drive the cost up or down, and also determine the kind of help needed for possible repair and replacements. Customized or more sophisticated window treatments will likely require more specialized help, and are more likely to be more expensive. Lastly, consider their operation. You can go with window treatments with a motorized sensor or manual mechanism, but style should never trump function. You can find a good balance by consulting with experts, who can recommend the right window treatment for your space and requirements. 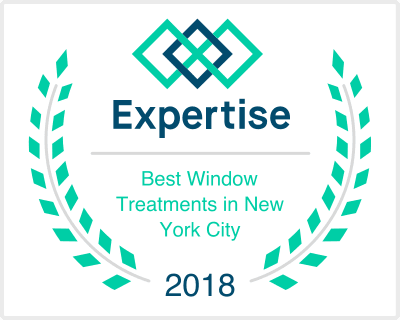 For help in choosing the right window treatment for your New York space, please do not hesitate to contact us at (212) 343-9900.